Ron Turner was a stalwart of the British comics scene, especially science fiction, with a career stretching from 1936 until his death in 1998. 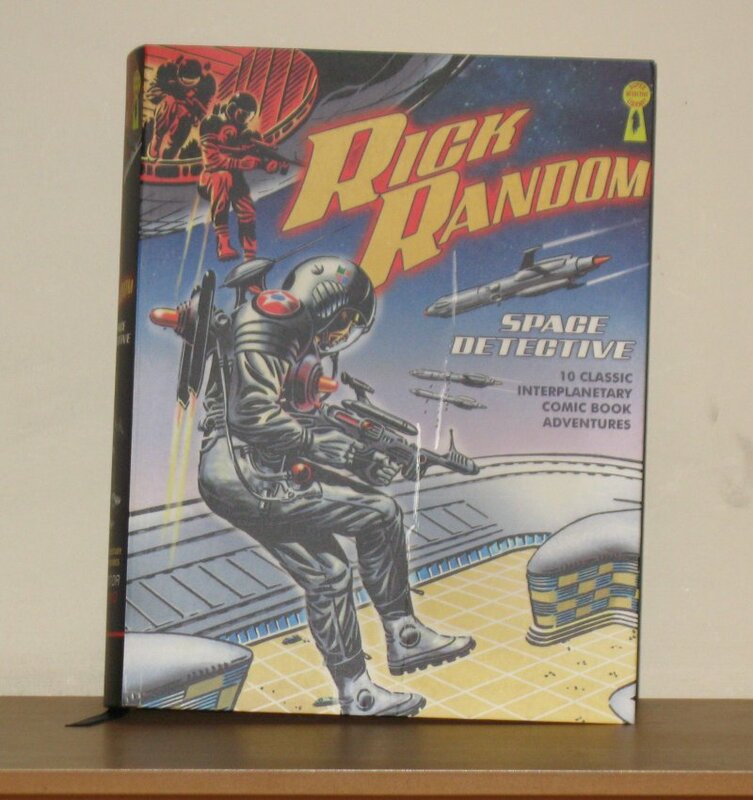 Rick Random, Space Detective, was created in 1953 for Super Detective Library, a collection of small comic books much like Commando and War Picture Library. Random appeared in 27 books between 1954 and 1957, but his adventures were later reprinted in a variety of venues, including 2000 AD summer specials. There was even an all-new story in 2000 AD in 1979. The book pictured collects ten of Random’s adventures, all but one drawn by Turner. No writing credits are given, but Harry Harrison is known to have written for the series. Another important venue for sf comics in the UK was newspapers. The tabloids would often feature a number of strips, some of which were ongoing serials. Jeff Hawke, who appeared in the Daily Express between February 1955 and April 1974, was created and drawn by Sydney Jordan. 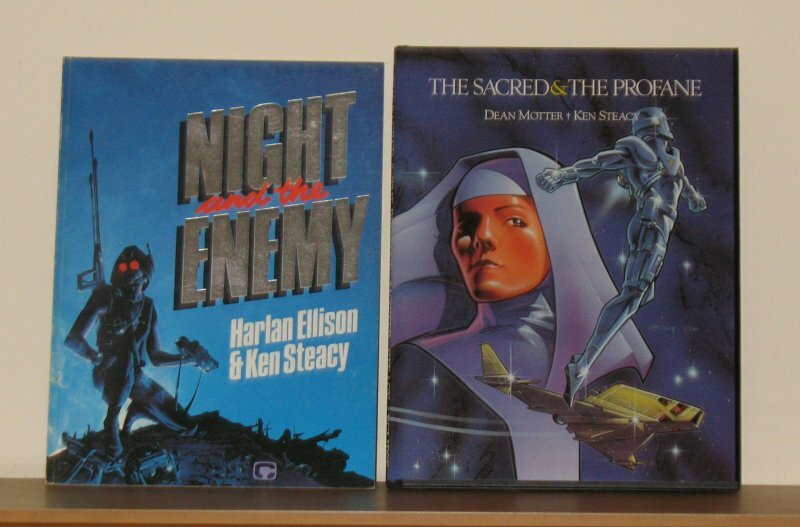 Titan Books published two of the stories back in the mid-1980s, but the above two are much more recent. They’re worth getting hold of. Another excellent sf strip from a newspaper is the Daily Mirror’s Garth. This ran from 1943 until 1997, but it’s the Frank Bellamy version I remember best. He drew it from 1971 to 1976 (my grandfather subscribed to the Daily Mirror, and I’d read the strip whenever I visited him). In the mid 1980s, Titan reprinted two stories in individual volumes – The Cloud of Balthus and The Women of Galba (ignore the awful cover art). The Daily Mirror only published two Garth annuals, in 1975 and 1976 – both are shown. Given there are 165 Garth stories, it’s about time someone did a proper job of collecting and republishing them. And then there’s 2000 AD, which has been publishing issues constantly since 1977. I used to subscribe to it back in the late 1970s/early 1980s, and I have fond memories of many of the strips it featured. Which is what prompted me to buy the above. Robohunter is an old Titan Books reprint I bought back in the 1980s. The other two are more recent and were published by Rebellion, 2000 AD’s publisher. Sadly, it’s never wise to revisit things you loved when you were younger. The Stainless Steel Rat may be an improvement on the books, but that’s not saying much, and the adaptation misses out a couple of important plot points. ABC Warriors has its moments, but it’s really just a derivative mash-up of half a dozen war movies, with crap dialogue to suit. 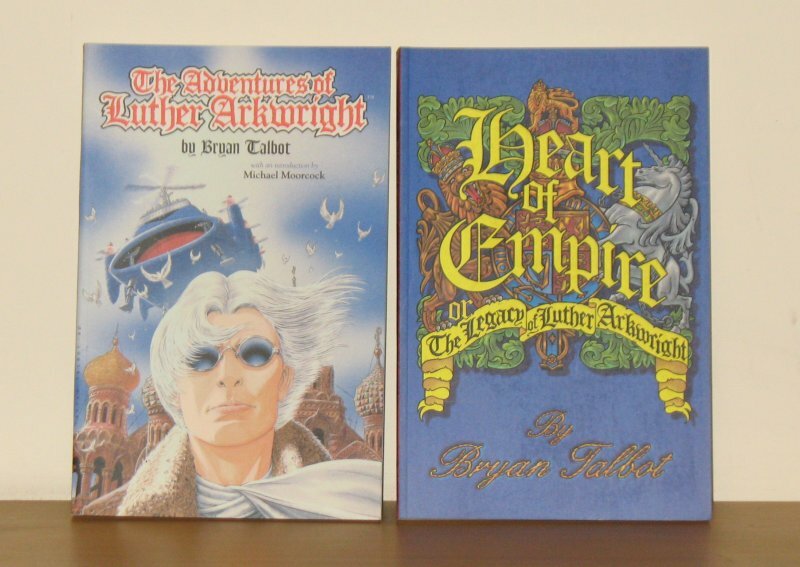 Luther Arkwright is the work of Bryan Talbot, and appeared in a limited series comic in the late 1980s. It was collected as a trade paperback in the late 1990s, and a sequel Heart Of Empire was published soon after. It’s a New worlds-ish steampunky alternate worlds sf sort of thing, and it’s quite brilliant. 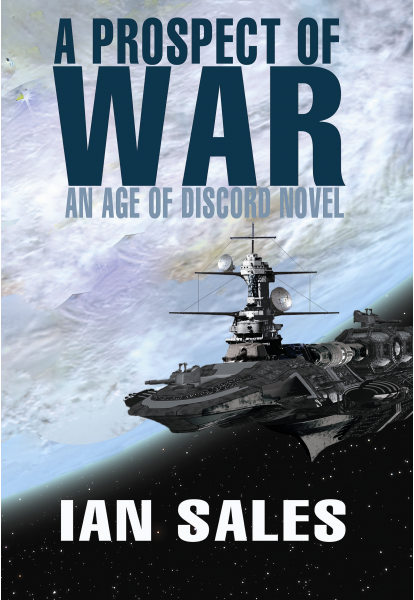 Every self-respecting sf fan should own a copy. In fact, they should own copies of everything Talbot has done. 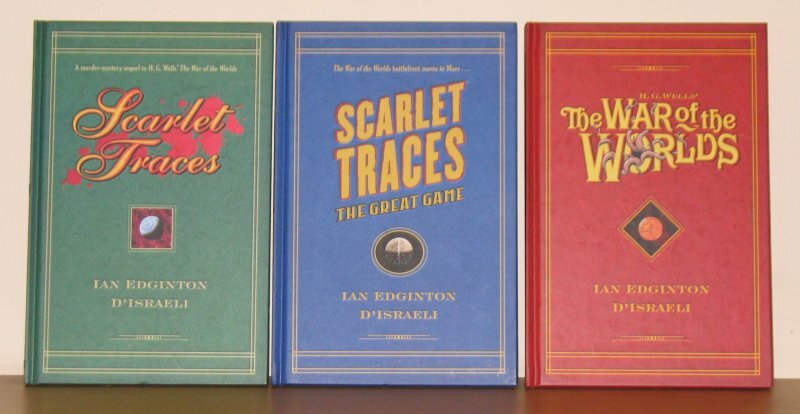 Also brilliant is Scarlet Traces and its sequel, The Great Game, a story set in Victorian Britain after Wells’ Martians have succumbed to the common cold. 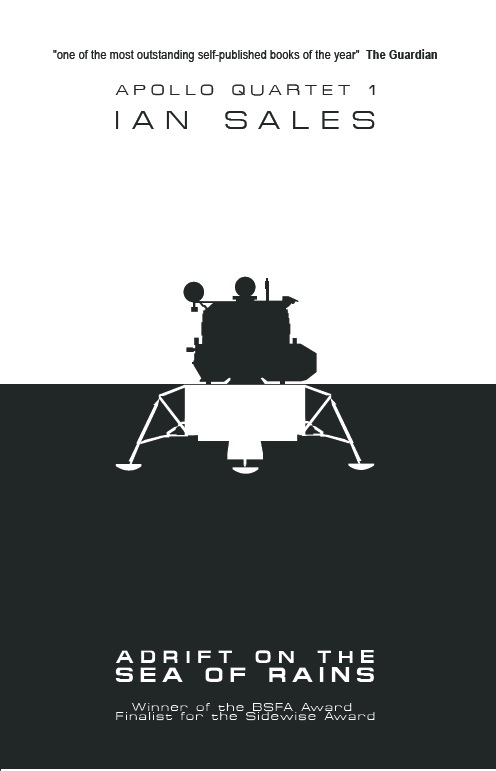 The British Empire has reverse-engineered the Martian technology and as a result maintained its technological and global preeminence. Later, Edginton and d’Israeli adapted Wells novel as a sort of prequel to their series. Warren Ellis is British, but much of his work has been done for various US comics publishers. Several of the mini-series he has written are science fiction – such as the above. 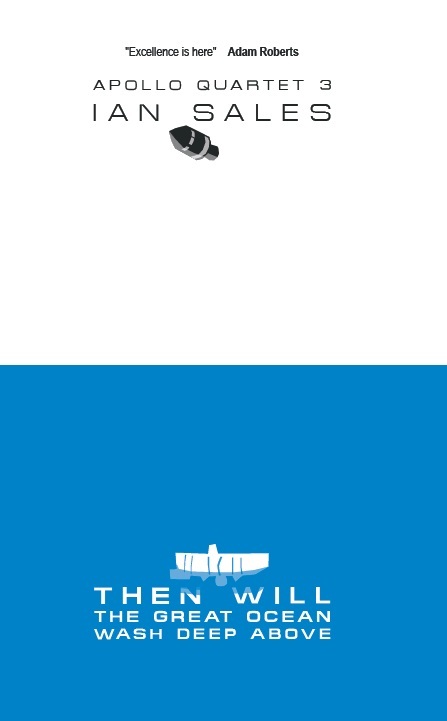 Ministry of Space, an alternate history story in which the British have a post-war space programme is especially good. Not shown are Ignition City and Anna Mercury, which a friend is currently borrowing. Sf novels occasionally get the graphic novel treatment, although not always successfully – or rather, the project is not always completed. The silver book above is the graphic novel of Alfred Bester’s The Stars My Destination, drawn by Howard Chaykin, from 1979. It’s signed by Bester, Chaykin and Byron Preiss. It’s also only half of the novel’s story. A concluding volume was never produced. 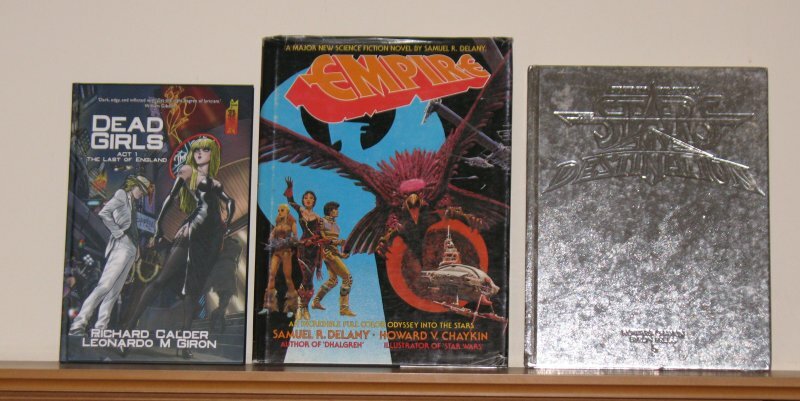 Empire shares a title with a Samuel R Delany novella, but the story Delany wrote for this Chaykin-illustrated story is not that ‘Empire’. Dead Girls is the first volume in an adaptation of Richard Calder’s novel of the same name, published House of Murky Depths. It originally appeared as a strip in the magazine Murky Depths, which has since ceased publication. The graphic novel will, however, continue. 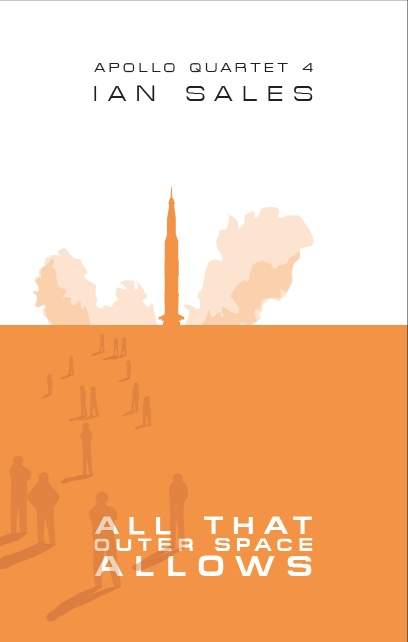 The edition shown is signed and numbered. 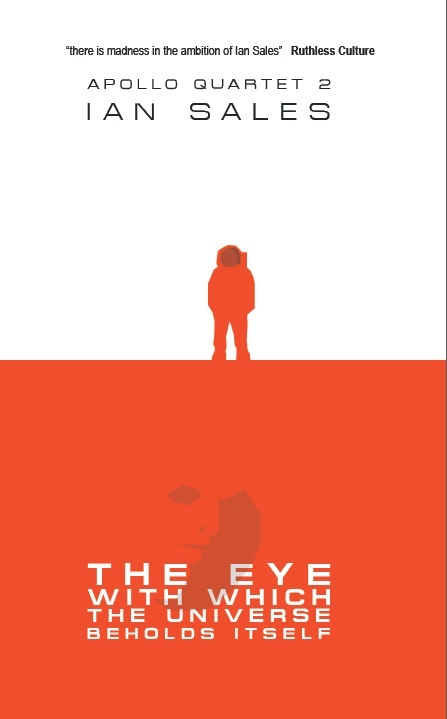 Jed Mercurio’s Ascent is one of my favourite novels, but sadly this graphic adaptation fails to capture what I like about the book. 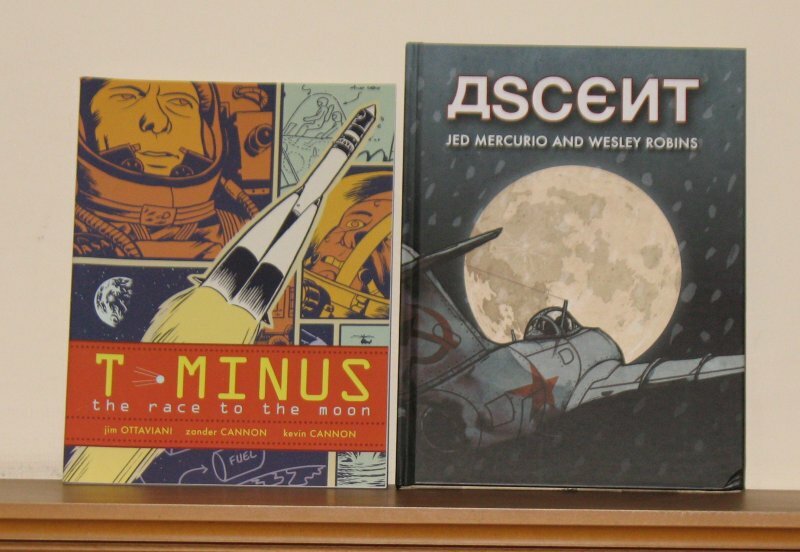 T-Minus is a comic-book potted history of the Space Race and is quite good. Night And The Enemy is an illustrated short story, written by Harlan Ellison and illustrated by Ken Steacy. The Sacred and the Profane is a graphic novel, written by Dean Motter and also illustrated by Steacy, which first appeared in Star*Reach from 1977 to 1978. In the 1980s, Motter and Steacy rewrote, redrew and coloured it, and it was published in Epic Illustrated – which is where I saw it for the first time. (I used to buy issues of Epic Illustrated and Heavy Metal during the 1980s when I was passing through Schiphol, travelling to and from the Middle East.) 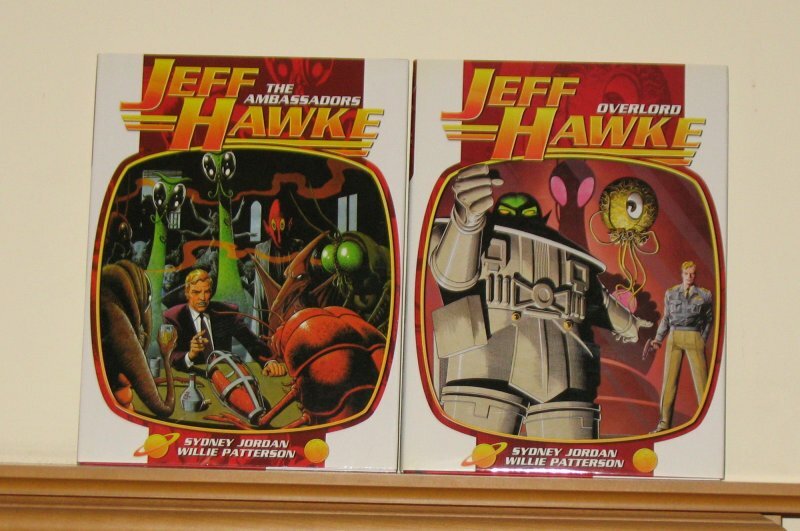 The collected edition above is signed and numbered. It’s also very good. I’m not entirely sure why someone decided a mash-up featuring Tarzan and another of Edgar Rice Burroughs’ characters was a good idea, but they went and did it. First Tarzan met Carson of Venus, and then he met John Carter of Mars. Not an entirely successful pair of literary experiments. Recent years, perhaps triggered by the Disney film, have seen a surge of new John Carter adaptations, as well as omnibus editions of older versions. The two Dejah Thoris graphic novels aren’t too bad, though it would be nice if they could put some clothes on her. The other two are quite poor. 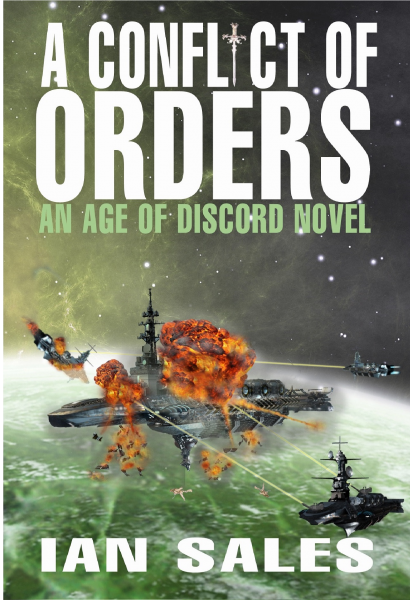 Categories: graphic novels, science fiction | Tags: 2000 AD, alfred bester, bryan talbot, d'israeli, dejah thoris, Frank Bellamy, Garth, harlan ellison, hg wells, howard chaykin, ian edginton, jed mercurio, Jeff Hawke, john carter, ken steacy, luther arkwright, richard calder, Rick Random, Ron Turner, samuel r delany, scarlet traces, Sydney Jordan, tarzan | Permalink.